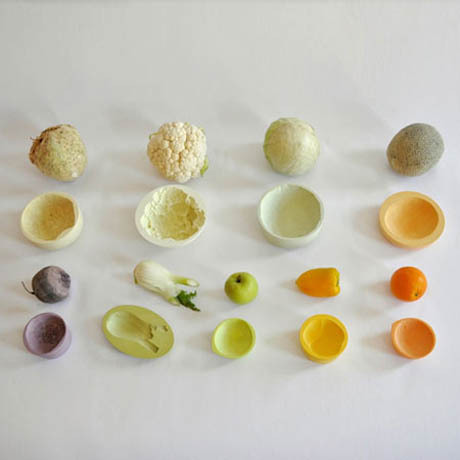 IMAGE: Reversed Volumes by Mischer’Traxler, via Dezeen. Viennese designers Mischer’Traxler showed these gorgeous bowls at this year’s Milan Design Week. 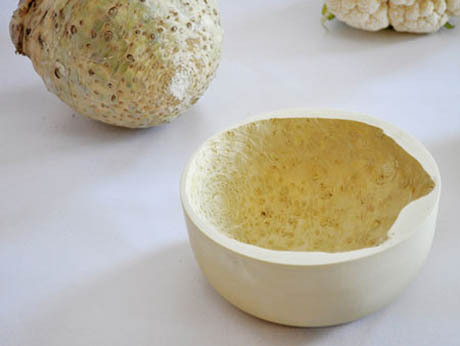 The series is called Reversed Volumes, and each bowl is created by moulding ceramic powder around a vegetable until it hardens—no firing necessary. In both cases, the familiar and domestic is made foreign through the spaces it has left behind. 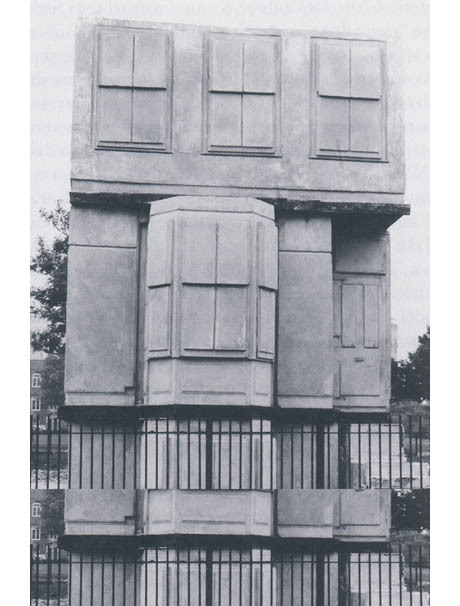 IMAGE: House, by Rachel Whiteread, via. 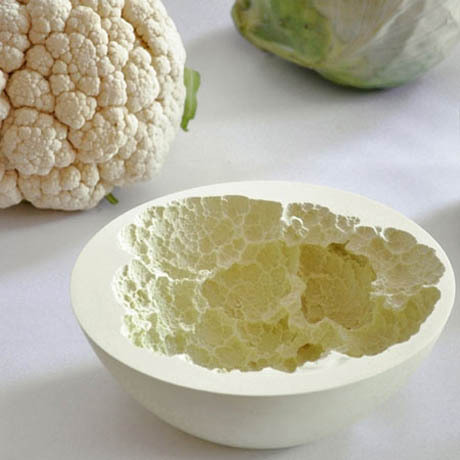 Finally, Mischer’Traxler’s bowls remind us that vegetables are already a designed object—a morphology of domestication and breeding. 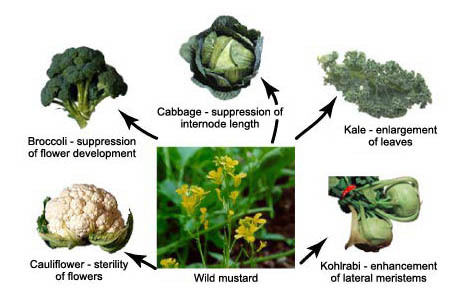 For example, the varying shapes of cauliflower, broccoli, kohlrabi, cabbage, and kale all share a common ancestor in wild mustard. Eating from a Reversed Volume bowl is a reminder that our food is never “natural”—it is always already designed. The interesting question is: what stories can those designs tell us about ourselves? IMAGE: Morphological evolution through artificial selection, via. Interesting idea and beautiful bowls. Are these really unfired ceramic bowls? I imagine they would be very fragile and would not be food safe. Interesting post. I wonder how easy the cauliflower one is to clean. 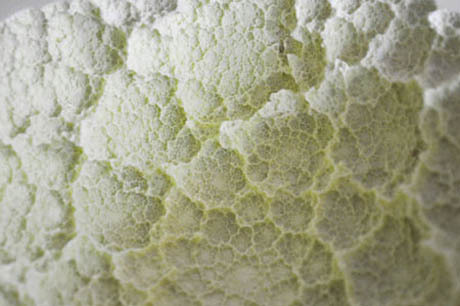 And a Romanesco broccoli would be stunning. 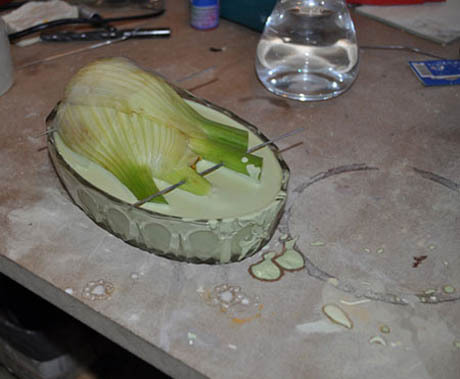 Then there are those dishes, tureens, jugs etc designed to look like vegetables. Thanks.